A week after Mother found her sleeping on the ceiling, Amy Thomsett is delivered to her new school: Drearcliff Grange in Somerset. Although it looks like a regular boarding school, Amy learns that Drearcliff girls are special: the daughters of criminal masterminds, outlaw scientists and master magicians. Several of the pupils also have special gifts like Amy’s, and when one of the girls in her dormitory is abducted by a mysterious group in black hoods, Amy forms a secret, superpowered society called the Moth Club to rescue their friend. They soon discover that the Hooded Conspiracy runs through the School, and it's up to the Moth Club to get to the heart of it. It's a credit to Kim Newman that he only rarely writes the novels you think he will. Just look at his last book: An English Ghost Story indubitably did what its title described, but it was—weirdly, wonderfully—as comical as it was creepy, and as interested in depicting the dysfunctional family it followed as it was the spectral presence that pushed them to the inevitable precipice. Newman's newest—which purports to be the start of a series by Louise Magellan Teazle, the previous occupant of the haunted house at the heart of the aforementioned narrative—is not dissimilar in its evisceration of expectations. 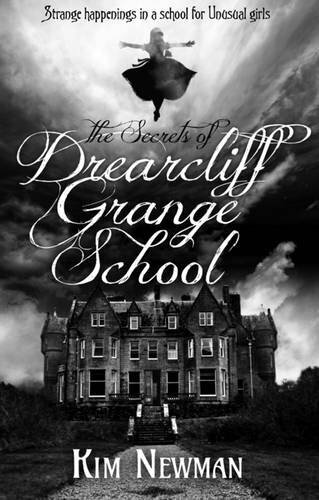 The Secrets of Drearcliff Grange School appears to be one thing, namely a classical magical academy narrative along the lines of Miss Peregrine's Home for Peculiar Children. And it is! And it isn't. As it happens, however, Amy's new school—"a rambling, gloomy, ill-repaired estate on top of a cliff" (p.13)—is not at all what Mother had imagined. Instead, it's a place where unseemly tendencies are accepted. Encouraged, even, since Headmistress considers it Drearcliff's responsibility to help Amy and the other Unusuals she'll meet in the year Newman's novel narrates to find Applications for their array of Abilities. Not for much longer, alas. The next term brings another new bug, name of Rayne, whose presence prefaces a deepening and eventually deadly divide in Drearcliff—between those with Abilities and those without. Rayne's arrival denotes a terrible turning point in the text. 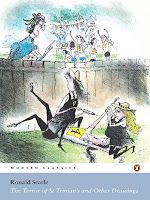 Before the eventual Ant Queen appears, The Secrets of Drearcliff Grange School is a properly joyful novel; whimsical, witty and winningly reminiscent of Ronald Searle's sequential stories of St. Trinian's, albeit with a bit of a supernatural twist. It's fascinating, it's fulsome and by gum, it's funny. But there's precious little laughter to be had after the fact, I'm afraid. Not unnaturally, the novel transforms into something far darker than a tale of turn-of-the-century school-yard shenanigans, specifically the story of a maudlin little monster who wrests power from the powerful and devotes it wholly to the destruction of difference. There are parallels, in this part of the narrative, to the rise of the Third Reich, but Newman—never one to take the path traditionally travelled—doesn't ever overdo them, only evoking the actual Nazis in a fabulous false finale. Nor indeed does she. Which isn't to say it's easy for Amy. Although she's a strong central character—resourceful, reliable and righteous within reason—she's far from unflappable. Happily for her, Amy can (almost) always depend on her friends, who are, to a one, as roundly realised as she. Her Cellmates especially are encouraging company; their relationships are congenially combative and their frank banter—which comes complete with private languages and the like—is simply brilliant. The girls' school setting of Newman's novel is similarly impressive. Full of deliberate detail described in period-appropriate parlance, it evokes an atmosphere of delightful decrepitude—plus it precludes the plot from depending on some hot boy, allowing the author to focus on developing the fundamentals of friendship rather than the redundant romances novels of the genre in general often revolve around. He might be most known for his dalliances with Dracula, but even excepting said series, Kim Newman stands among speculative fiction's finest, and his new book is no less impressive than the best of the rest of his writing. As surprising as The Secrets of Drearcliff Grange School is in every other respect, it met at least one of my expectations: I had a hunch it would be wonderful, and it was.